Manufactured in Etats-Unis from 1915 until 1926. 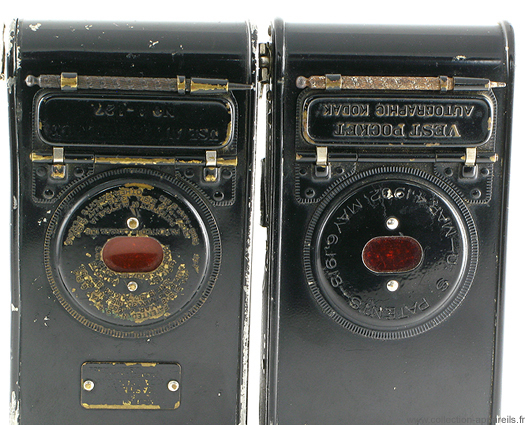 The versions of the Vest Pocket Autographic are numerous. The models already presented on this site are the striking demonstration of it. The one presented in this page leads to an additional confirmation. The interesting part is the back. 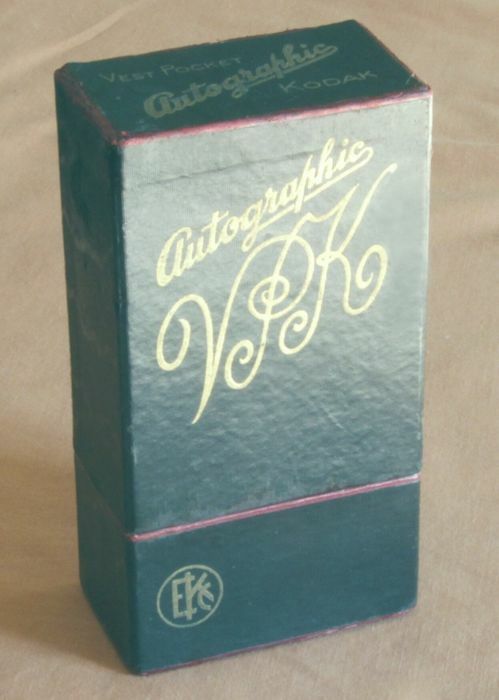 The inscription on the lid of the autographic system varies. On another, we could see "Use Autographic Film No. 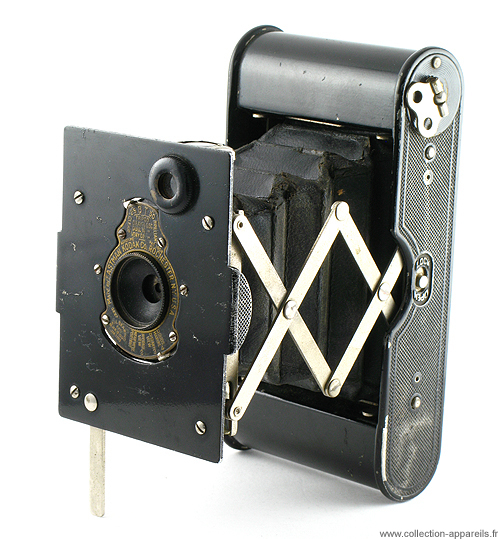 A-127"; On the specimen presented here, we have "Vest Pocket Autographic Kodak". The meaning remains the same, only the words change. What is more interesting is the small inscriptions around the red window. Here the message is short: "US patented Mar. 4.1902, May 6, 1913". On another version, we had a real novel, with patent dates in the US, Australia, Canada, the UK, the most recent being in 1917. The number on the back of the stand is 488644. On the other presented model, it is 1115091. This model is therefore older than the other.